The government will announce in two to three months the names of 20 universities, 10 each in private and public sector that will enjoy full autonomy to become Institutes of Eminence, the Union Minister for Human Resource Development, Prakash Javadekar announced in New Delhi recently. 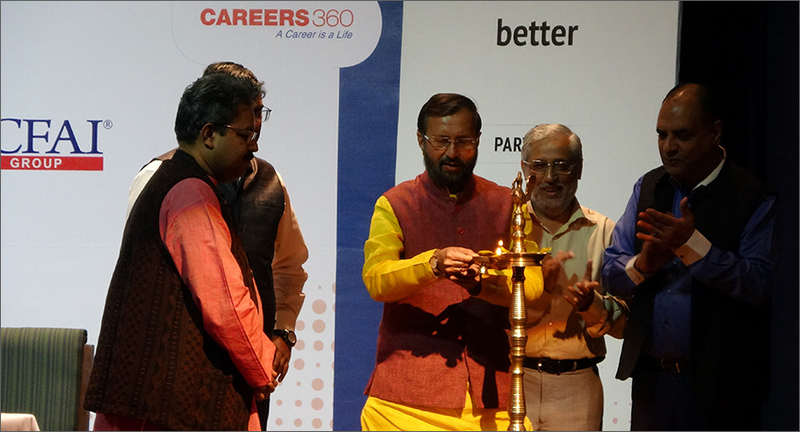 At a function to felicitate top researchers across 24 disciplines at Careers360 Faculty Research Awards in New Delhi, the HRD minister said the government believes in giving full freedom to higher education institutions, where autonomy will be wedded to accountability. “I believe in freedom. Freedom comes automatically with accountability,” he said. The selection process for Institutes of Eminence is on, and the names of the institutions will be announced in two to three months. Citing the example of IIMs, the HRD Minister said IIMs now have the autonomy they deserve to become brand names on their own. “We have made all IIMs autonomous. They will be on their own. We will continue to fund for the first eight years for the infrastructure and incubating labs,” he said. Emphasising the role that research plays in creating a brand identity, the HRD minister said it is their focus on research that will create a brand identity for IIMs. “They have to create their own brand. The brand can be created only when they do relevant research. If they don't do the relevant research the brand will not be established. So, we are going to give that sort of freedom,” Prakash Javadekar said. Similarly, innovations in teaching will change the face of Indian school education, he said. Drawing inspiration from an experiment in Maharashtra where the teachers on their own, without any government support brought in innovation in classrooms, Prakash Javadekar said teachers need to innovate to change the way students learn. Just as the Modi government had made Padma awards synonymous with the grassroot efforts of change makers, the HRD minister announced that the rules for giving awards to teachers will be changed. “We are changing all rules to give awards for teachers. We have changed the way Padma awards are given. The Padma awards are now given to people who are working at the ground level. In the same way, we will change the way awards are given to teachers. We will give awards to teachers who are making innovations,” he said. Recognising the efforts of India’s brightest minds in the field of academic research, the HRD minister presented top authors the Awards which carried a cash prize of Rs. 50,000 and a citation. The 24 disciplines for ‘Faculty Research Awards 2018’ included Engineering Sciences, Computer Sciences, Physics and Astronomy, Chemistry, Environmental Sciences, Psychology, ‘Business, Management and Accounting’, ‘Economics, Econometrics and Finance’ among others. The ‘Most outstanding Researchers’ in these 24 different disciplines were chosen based on a composite score generated by evaluating the academic output in SCOPUS indexed journals for the year 2015 –17, citation count and h-index. The weightage to the three parameters was reached by averaging differential weightage suggested by 20 top academics of Indian origin ranging from Innovation Guru Prof. R A Mashelkar to celebrated corporate advisor and academician Prof. Nirmalya Kumar. The list also includes Harvard Business School Dean Dr Nitin Nohria, renowned academician and institution-builder Dr Pritam Singh, National Law University Bangalore Vice-Chancellor Dr R Venkata Rao, besides many other renowned academicians in India and abroad. Besides the top authors in each discipline, distinguished researcher in many disciplines were facilitated with special mention at the Award ceremony. AICTE Chairman Prof Anil D Sahasrabudhe facilitated the distinguished scholars with a cash prize of Rs. 20,000 and a citation. A power-packed panel of Academicians and recruiters also discussed on the challenges in recruitment of faculty members. The panel was moderated by Sanjay Modi, MD, APAC & Middle East, monster.com.